After Azam Khan fanned another controversy with his remark on the Indian Army, the Bharatiya Janata Party (BJP) on Wednesday slammed the Samajwadi Party (SP) leader and said it has become a fashion to demean the Indian Army in the name of 'freedom of expression'. "Azam Khan constantly tries to speak in favour of Pakistan and break the social fabric of this country. It has become the fashion to demean the Indian Army in the name of freedom of expression," BJP spokesperson Sambit Patra said in a press briefing here. Further stressing on the same, Patra said that Khan is supporting terrorism from across the border. "This is very unfortunate and we condemn this. Azam khan has demeaned the Indian Army and has spoken in a way which has belittled the professional India Army. The political parties are constantly speaking against the army and showing them in poor light," he said. The BJP spokesperson also called the Samajwadi Party to take stern action against Khan and expel him. "How dare Azam Khan such things against the Indian Army, it is a protective army. 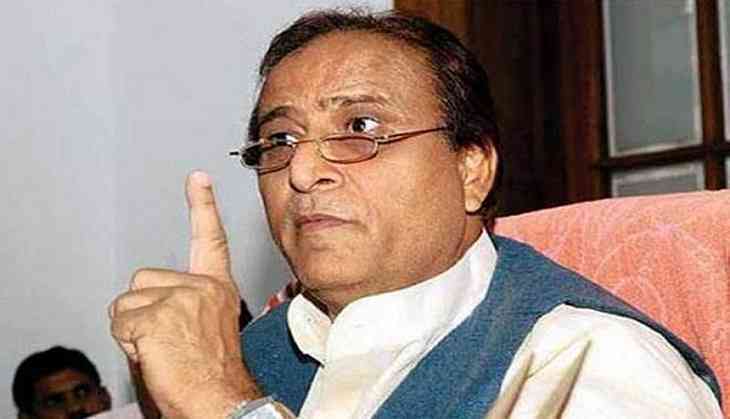 Azam khan is trying to create a narrative across the country, which is trying to divide the country on the lines of Hindu and Muslim," he said. Earlier in the day, Khan accused the Indian Army of misbehaving with the people of Jammu and Kashmir. "A fight is going on the border, but at one place, women killed soldiers. This act forces us to think that there might have been a reason for doing so," Khan said. He also criticised the incumbent BJP Government in the state. Khan warned that he would lead a protest if no improvement in the administration was visible.